When it comes to concrete flooring, Specialty Coatings, Inc., has “got you covered.” If it needs repair, we can do it. If it needs coating, polishing, or staining, we can do it. If it needs to have the current covering removed, we can do it. Because, in over two decades of business, we’ve seen it all and done it all. We’re not saying this in a “bragging” way. We feel privileged to have gained this experience and expertise so that we can offer quality service to our customers throughout the Southeast. 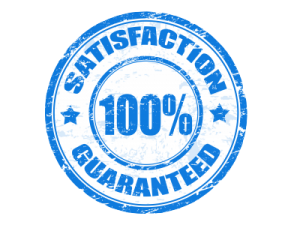 Whether it’s a residential job or the Bridgestone Arena, we are not satisfied until our clients are fully satisfied. So, our clients can be confident that we can and will be able to meet demanding schedules for projects of any size. Removal of VCT tile, carpet, sheet vinyl, ceramic tile, marble, terrazzo, hardwood, and epoxy coatings and membranes. Shot Blasting or diamond grinding for removing contaminants such as carpet glues, tile glues, mortar beds and profiling the concrete so it can accept new coatings or other types of floor covering materials. Specialty Coatings is one of the leading concrete and epoxy flooring contractors in the Southeast. Our service area includes greater Nashville and surrounding cities like Bowling Green, Chattanooga, Clarksville, Cookeville, Huntsville, and the Southeastern U.S. We will be happy to discuss your project. Give us a call at 615-591-9491 or you can click below to request a quote. To request a quote for epoxy floor coatings, concrete polishing/staining, shot blasting concrete surface prep or any of our other services please click below to get started.